Why Isn't There a Good Igbo Translation of Things Fall Apart? If I write in English in a country in which English may still be called a foreign language, or in any case is spoken only by a minority, what use is my writing? Nothing looks to fit him well. Chinua Achebe’s Things Fall Apart has been translated into over 50 languages, making it the most translated African novel. But almost 60 years after it was first published, there is no authoritative translation into Igbo, Achebe’s mother tongue. An equivalent instance would be if Conrad’s Heart of Darkness had not been translated into Polish. But even then, the comparison would not work. As the late Obi Wali noted, “Conrad’s works, as we know, are considered part of English literature, not Polish literature, and the sole criterion for this is that his works are in English, not in Polish.” Achebe, on the other hand, understood himself as, and is read as, part of the African literary tradition. Indeed, Things Fall Apart has been translated into Polish at least two times while there are three competing translations in German. To be sure, it has been translated into ten or so African languages, but considering there are over 2,000 languages in Africa that is still an infinitesimal number. And more generally, other novels considered seminal in the African literary tradition, such as Ngũgĩ Wa Thiong’o’s A Grain of Wheat, Bessie Head’s A Question of Power, and Wole Soyinka’s The Interpreters, fare much worse on this criteria of translation into the author’s mother tongue and wider African languages. Translating African novels into African languages is the exception, rather than the norm. To answer the question of why there is no authoritative Igbo translation of what is known and accepted as Africa’s most famous novel, one has to go back to the 1962 “African Writers of English Expression” conference convened at Makerere University, Uganda. In 1962, Africa was in the throes of decolonization and for the group of young writers attending the conference anything was possible. Their goal was to define, or at least agree upon, the parameters of an African literary aesthetic that would also be in the service of political and cultural decolonization. In reading their post-conference write ups in the journal Transition, the excitement with which they greeted their role as the instigators and vanguards of an emerging literary tradition is palpable. The literary vanguard would in just a few short years run up against the repression and violence of post-independence African states. Disillusioned with the promises of decolonization, they turned their pens against their neocolonial governments and paid the price of death, detention, and exile. Chinua Achebe became a spokesperson for Biafran independence from Nigeria, doing ambassadorial work in both Africa and the West. Christopher Okigbo was shot dead fighting for Biafra’s independence in 1967, five years after the conference. The Nigerian military government of General Yakubu Gowon detained Wole Soyinka for his peace activism in 1966. In 1977, the Kenyan government of Jomo Kenyatta detained Ngugi for his political writing and theater work in Gikuyu, his mother tongue. Both Ezekiel Mphahlele and Bloke Modisane, coming from apartheid South Africa, were already living in exile at the time of the Makerere Conference, Mphahlele in France and Modisane in Britain. Achebe, Soyinka, and Ngugi each wound up in political exile, ultimately joined by writers like Micere Mugo from Kenya and Nawal El Saadawi from Egypt. The Makerere generation of African writers would suffer death, exile, and detention for not separating their literary aesthetics from the material work of politics, for not separating the author from the citizen. Ugandan writer Rajat Neogy started Transition magazine a year before the conference. By the time it folded in 1976, it had become the most influential African literary journal. Neogy was also not spared the fate of the writers he was publishing and was detained by Milton Obote’s government in 1968. But in 1962, his journal was well on its way to becoming the single most important intellectual meeting ground for African intellectuals and writers and it provided a natural home for the Makerere Conference proceedings. In a reminder that literature and politics in Africa have never been separate, it turned out that the CIA cultural front, the Congress for Cultural Freedom (CFF), had also in part financed both the Mbari Club and Black Orpheus. In fact, the CFF had also sponsored the Makerere Conference, but back then the connection to the CIA was not known. Transition almost buckled under the weight of revelations in 1967 that it was in part being funded by the CFF. But the journal survived; what mattered was the urgent task at hand—decolonization, and how to account for, define, and grow an African literary tradition. Yet, even as the participants were heralding the new society, the conference had declared boldly in its title that this was a gathering of “African Writers of English Expression.” As Nigerian literary scholar Obi Wali asked in an essay published the same year as the Makerere Conference, “The Dead End of African Literature?,” why was it so important to signal to the attendees that African writers using African languages were not welcome? One cannot conceive of English writers today writing English national literature in French, or the Chinese writing in Japanese, or the French in German. But for African writers writing in an imperially enforced foreign language was taken as the starting point. The question for the Makerere writers was not how to write, translate, and market books written in African languages. Rather, it was how best to make English work for the African literary imagination. It was not for the lack of example. In the early 1900s, South African writers were writing in Xhosa, Zulu, Sesotho, and other African languages, with translations into English: Thomas Mofolo’s Moeti oa Bochabela (published in 1907, later translated into English as Traveller to the East in 1934) and Chaka, written in 1909 but published in 1931; R.R.R. Dhlomo’s An African Tragedy (1928) and UNomalanga kaNdengezi (1934); Samuel Mqhayi’s Ityala Lamawele (The Lawsuit of the Twins) (1912); and A. C Jordan’s Ingqumbo yeminyanya (1940), translated as The Wrath of the Ancestors in 1964. Sol Plaatje’s novel, Mhudi (1930) was the first full-length novel in English by a black South African writer. The larger point here is that just like the Makerere generation, these South Africans were writers and intellectuals that belonged to their times, and as apartheid became entrenched so did their resistance. For example, “Nkosi Sikelel’ iAfrika,” the national anthem of the African National Congress (formed in 1912), was a song of mourning to which Mqhayi added seven nationalist verses. Sol Plaatje, a nationalist and one of the founding members of the ANC, “arranged for the recording of ‘Nkosi’ in London,” In his essay, “Retracing Nelson Mandela through the Lineage of Black Political Thought from Walter Rubusana to Steve Biko,” Xolela Mangcu talks about how, as a young student, Nelson Mandela was influenced by Mqhayi’s “cultural nationalism.” Ntongela Masilela, who has done major work on these early South African writers, sees them as a movement not only conscious of each other and immersed in their political and cultural contexts, but aware of, influenced by, and influencing black Americans and the black diaspora in general. Jean Comaroff and John L. Comaroff write that “like its European counterpart, modernity in Africa entailed a regenesis, a consciousness of new possibilities, and a rupture with the past—a past that, in the upshot, was flattened out, detemporalized, and congealed into ‘tradition,’ itself a thoroughly modern construct.” And the modernity of these early 20th-century nationalist writers was not just locked within South Africa. As the Comaroffs point out, their ideas were to “suffuse anticolonial movements and post-independence nationalisms.” They were the precursors to decolonization. Plaatje’s Native Life in South Africa was an indictment of the increasingly oppressive and exploitative structures in what was soon to be full-blown apartheid. Understanding William Shakespeare’s centrality to the English canon, Sol Plaatje also translated some of his plays, including The Comedy of Errors, into Setswana as Diphosho-phosho while translating Setswana proverbs into English. Given how influential the South African modernists’s influence is in South Africa, Africa in general, and the diaspora, the question of why we do not read them alongside literary figures in the decolonization movement in Africa is glaring. The Makerere writers, like a literary tsunami, came and buried early South African writing underneath a torrent of realist novels written in English. They derailed the African literary tradition from one of writing in African languages and subsequently getting translated into other languages, and started us on the path of the realist African novel in English. They were so thorough that African literary criticism has failed to recover the missing literary epoch, as literary critics followed the same tracks they laid down. To put it another way, imagine an English literature missing a literary epoch like modernism, for example. W.B. Yeats, Ezra Pound, D.H. Lawrence, T.S. Eliot, or James Joyce would be absent—the English literary tradition would be unrecognizable. Thinking through the Makerere Conference and the writers in relation to the African literary tradition, a series of questions emerge: Why did they, from the very outset, work with a consensus of African literature in English despite the early South African example? What are the costs of starting Africa’s literary tradition in the wrong literary and historical period? What does it mean for my generation of writers and scholars of African literature not to have an inclusive imaginative consciousness of our literary past? 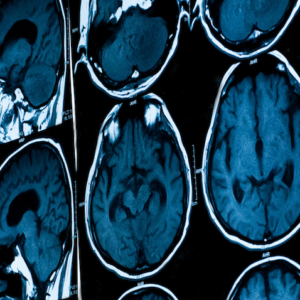 That our imagination and scholarship draw from a distorted literary tradition? That the kind of intertexuality that drives our writing begins with the Achebe generation and not with early South African writing? And what does African literary history and criticism look like when stood up on the foundations laid down by the early South African writers? In short, what would the African literary tradition look like if we read NoViolet Bulawayo or Chimamanda Adichie in relation to the Makerere and early South African writers? From The Rise of the African Novel. Used with permission of University of Michigan Press. Copyright © 2018 by Mukoma Wa Ngugi. 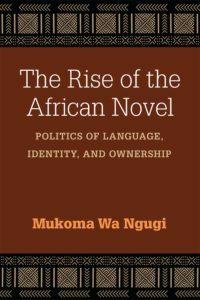 Mukoma Wa Ngugi is an Assistant Professor of English at Cornell University and the author The Rise of the African Novel: Politics of Language, Identity and Ownership (University of Michigan Press, 2018) the novels Mrs. Shaw (2015), Black Star Nairobi (2013), Nairobi Heat (2011), and two books of poetry, Hurling Words at Consciousness (2006) and Logotherapy (2016).